The age for early language learning has dropped dramatically in the past decade to include children under 6 years old, yet very little published research exists to support the implementation of such programmes. Drawing on a synthesis of theory, research and practice, this edited volume makes an innovative contribution to literature concerning language education for very young children. It explores language learning in a wide range of geographical contexts with reference to second and foreign language learning, bilingualism and plurilingualism with children under the age of 6 years old. Chapters present discussion around teacher education, policy-making, international case studies, school and home-based projects, code switching and language use, and methodologies and approaches. 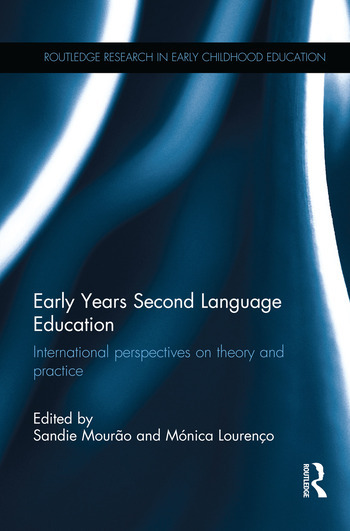 Early Years Second Language Education: International perspectives on theory and practice will be essential reading for researchers, academics, teacher trainers, and post-graduate students in the fields of early years education, foreign and second language education, language didactics and teacher education. Sandie Mourão is an independent scholar, teacher educator, author and educational consultant specializing in early years language education. Mónica Lourenço is an Invited Assistant Professor at the Department of Education, University of Aveiro, Portugal, with a special interest in early years plurilingualism.